This lady has exposed her blood sister who has been seeing her babydaddy for 7 years. 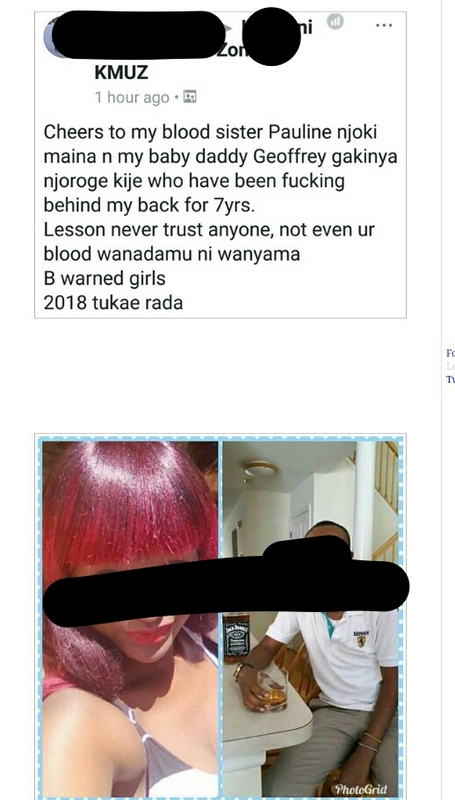 “Never trust anyone, binadamu ni wanyama” That’s her message. She went ahead and shared a photo of her blood sister and the baby-daddy she is bl33ping. The drama continued as she dropped some not so cool bedroom photos her sister sent her baby daddy. And she started dropping some pictures from za oza room she claimed to be her sister and baby dad.